Truly valuable care encompasses so much more than the treatment itself. It is about how the treatment is delivered, the person providing it and the patient’s overall functional outcome. At the Healing Space you will receive one on one, private physical therapy services with a Doctor of Physical Therapy. Dr. Ford treats acute injuries and existing chronic conditions. Whether you want to eliminate pain, restore functional mobility or enhance your overall quality of life…There is a program for you. In many cases, patients have been able to avoid surgery and eliminate the need for opioids. 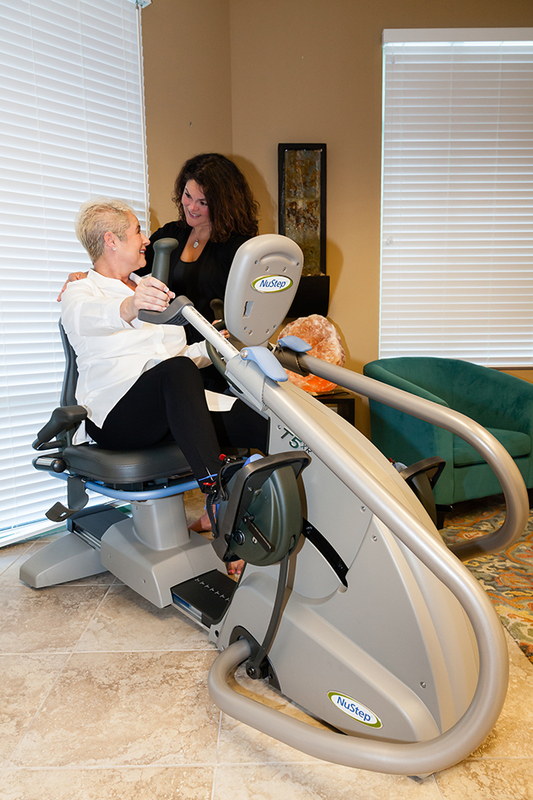 The NuStep is a recumbent cross trainer validated by research in its effectiveness to treat orthopedic, neurological, pulmonary and cardiovascular disorders. Trigger point release, myofascial release and other forms of manual therapy techniques are integrated into sessions in order to treat the whole patient to achieve maximum results. Functional training on the Hoist Mi6 prepares you for real-life activities by targeting multiple muscle groups and core strengthening all in one motion.